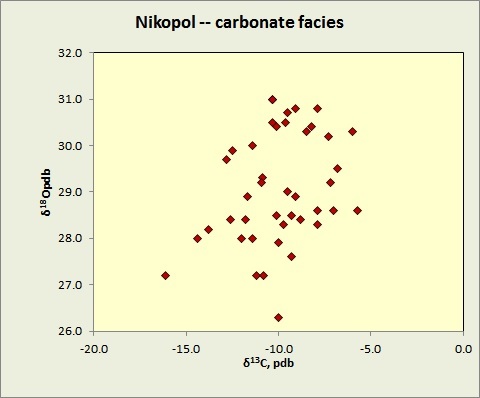 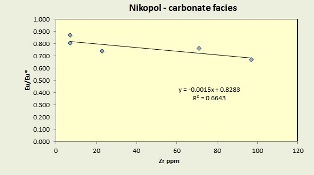 Varentsov, O. M., Stolyarov, A. S., Ivleva, E. I., Potkonen, N. I., gorshkov, A. I., Sokolova, A. L., and Gor'kova, N. V., 1997, On a geochemical model of the formation of the Early Oligocene manganese ores in the eastern Paratethys: the Nikopol' and other deposits of the southern Ukrainian Basin: Geology of Ore Deposits, v. 39, p. 40-57. 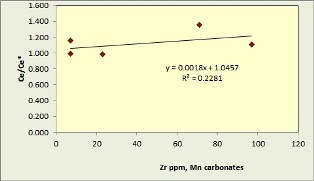 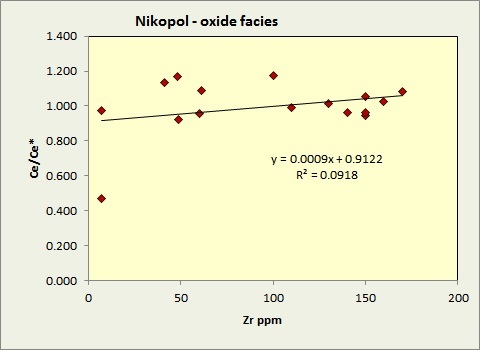 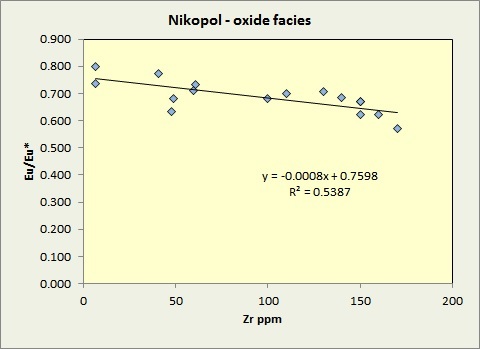 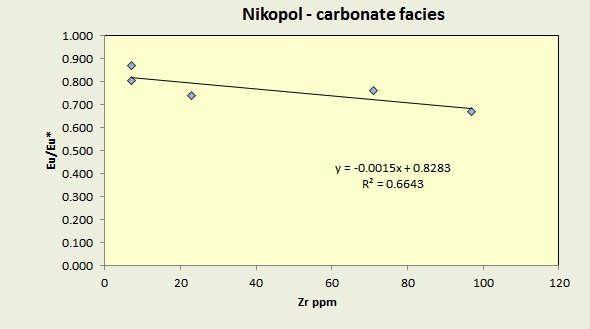 Kuleshov, V. N., 2003, Isotopic composition (δ13C, δ18O) and the origin of manganese carbonate ores from the Early Oligocene Deposits, the Eastern Paratethys: Chemie der Erde, v. 63, p. 329-363. 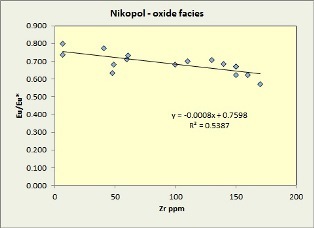 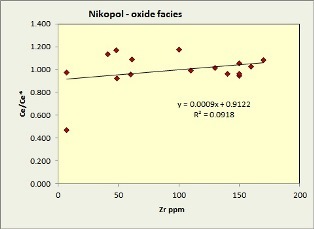 Data of Varentsov et al. When an element was not reported, averages from Basilevskaya are used (see spreadsheet for full dataset).